A janitor who earns a quarter of a million dollars a year has been caught hiding from work in a cupboard for several hours. 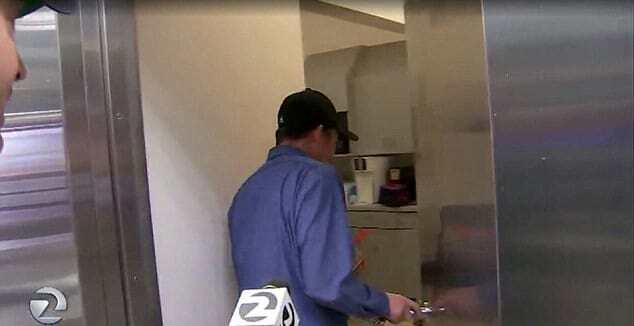 Liang Zhao Zhang works as a San Francisco transit janitor and managed to earn $250,000 in one year through overtime has been revealed to be bunking off work by an investigation by KTVU. Zhang’s time card showed that he worked every day in 2015, and most days he worked overtime, even going so far as to work 17-hour days for 18 days straight in July 2015. However CCTV footage revealed that over a two day period Zhang would disappear periodically in between working to a storage cupboard where he’d spend hours. During the first days work Zhang went into the closet twice once for 54 minutes and 90 minutes the second time. Meanwhile on the second day he went into the cupboard for 90 minutes then again for a further 78 minutes. It’s absolutely outrageous,’ For Janitors that’s obscene! It’s unconscionable! 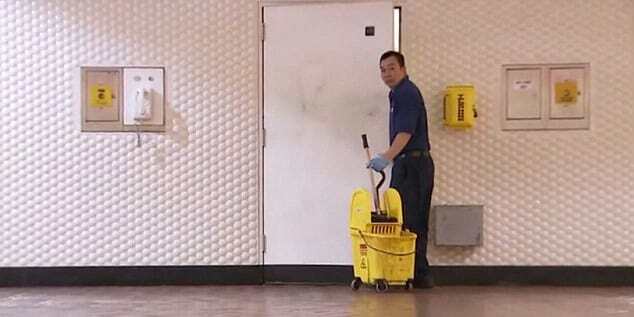 As a quick aside why is it unconscionable for a janitor to earn that money if he’s working overtime? The problem isn’t that he earns that much money it’s that he’s been not been declaring his breaks. Anyway Chief Transportation Officer Roy Aguilera has an explanation. He claims that Zhang never refuses extra work and picks up as much overtime as he can. Aguilera went on to explain that the Janitorial Staff on the underground have to work hard to deal with the large population of homeless people and spend a lot of their time cleaning up urine, faeces and needles. People are not raising their hands and saying, ‘I want some of that overtime.’ Mr. Zhang has said yes, he’s worked hard, he’s completed his assignments, so I stand by the work he’s done. A Bay Area Rapid Transit spokesperson, Alicia Trost, has said that there’s no future audit being considering after even after the investigation while another said Zhang’s supervisor had approved all of his timesheets and overtime. Again the problem shouldn’t be the amount he earns but the fact he’s bunking off.